Pittville Park is to the north of the town and straddles Evesham Road. The park borders Tommy Taylor’s Lane to the west and Pittville Lawn to the east, and the narrow southern section of the park stretches as far south as Wellington Road. Parking – We’ve been to this incredible park on a number of occasions and have always managed to park in the free on-street parking. The parking is time limited but you’ll have plenty of time. 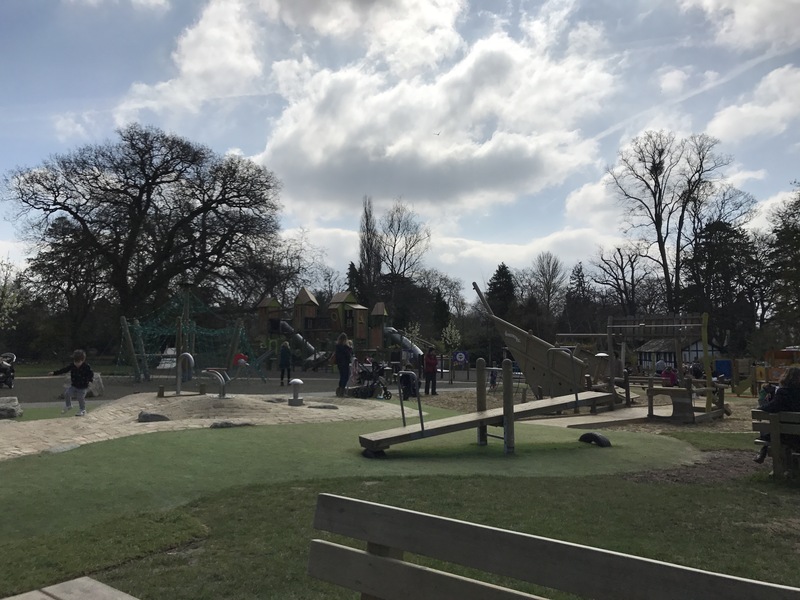 This park has undergone major refurbishment over recent years. It is now probably one of the best locally (and certainly rivals the recreation ground in Stratford upon Avon). Ok, so it’s a little further afield but well worth the extra drive. 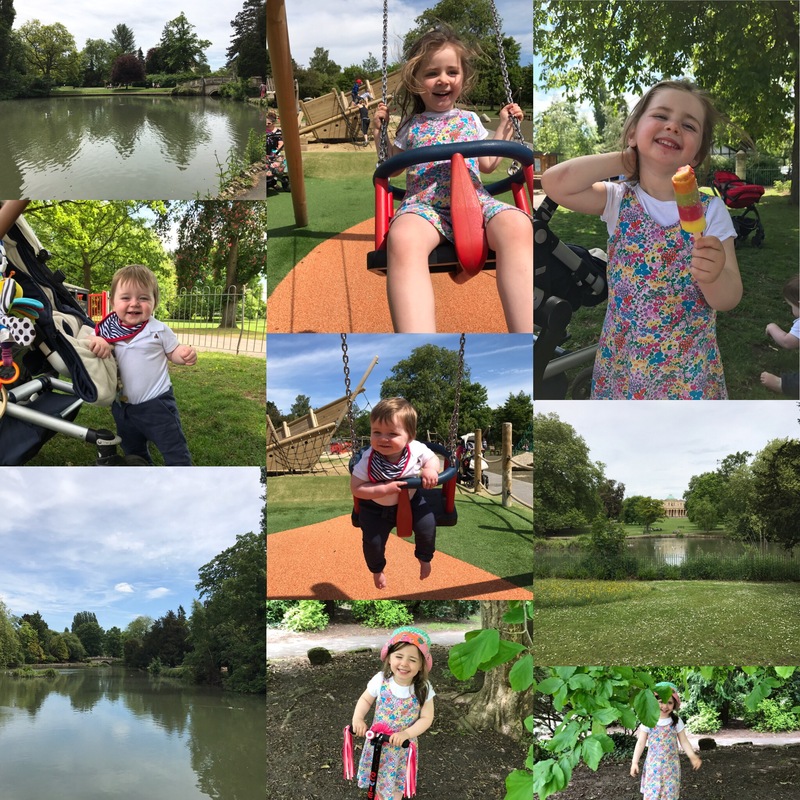 Not only is the setting spectacular (with the impressive Pittville pump rooms, a stunning lake and mature trees), the play park (the main attraction for little people!) is incredible. 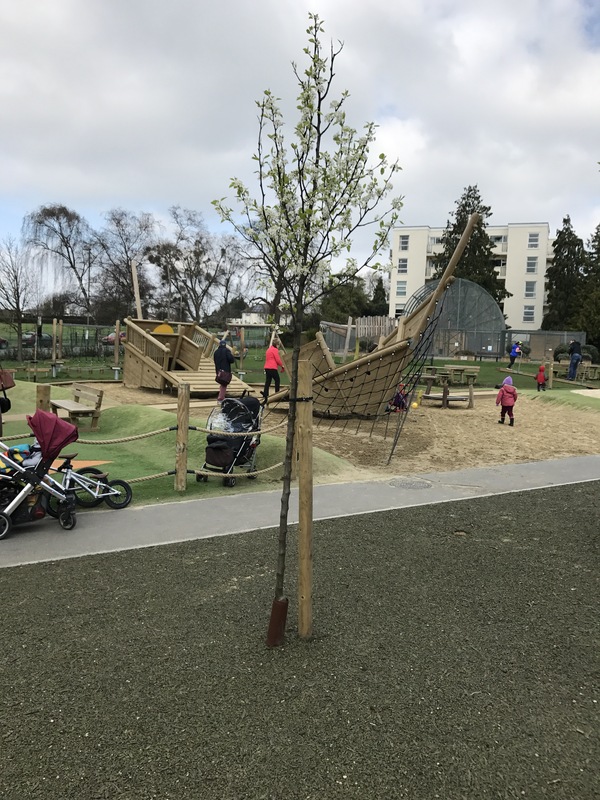 There is something for everyone – a sandpit (built into a pirate ship), water play, climbing frames and various slides (plus swings etc). There are (much to our toddlers delight) trampolines built into the floor as well as various hands-on musical instruments. The park is well shaded by various trees and there are plenty of picnic benches as well as open grass spaces. The kiosk cafe makes sure that mummies and daddies (and any adults for that matter!) are kept hydrated with good quality coffee and the artisan ice-cream keeps the little people happy! Its also good to know that the public toilets (near the cafe) are reasonably clean. When you’ve had enough of playing (is this ever possible!?!) you could stroll around the aviary area. There are some chickens, peacocks as well as other little birds (I’m no expert!). The path around the lake is very scooter friendly so that’s also a big hit with our toddler! On a nice weather day you could easily have a fun-filled day in the park. 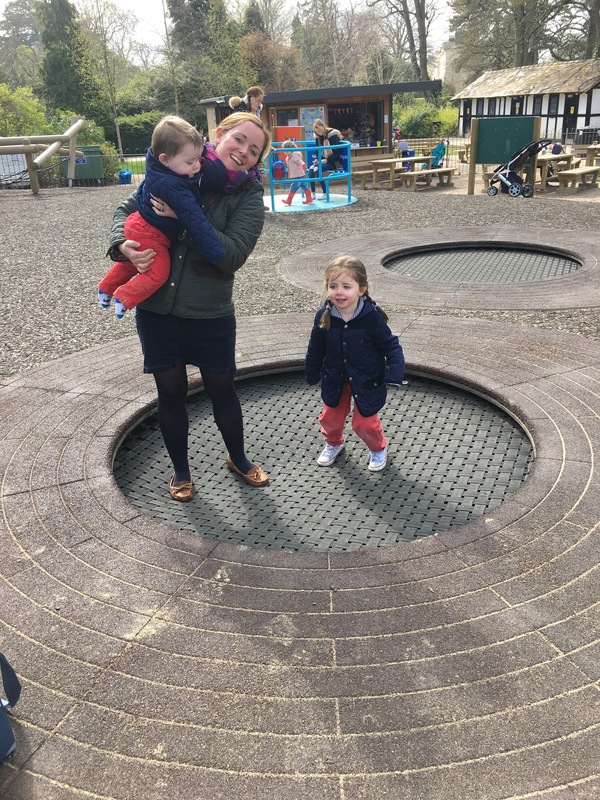 If you fancy combining the trip with another activity then you could easily do some shopping (or perhaps mummy could shop whilst daddy day care occupies the little ones!) and or have lunch in Cheltenham town centre. If the weather is really nice you could also visit the lido!